Welcome to The Heretic's Way! I am so glad you stopped by. If you're new here, you may want to subscribe to my RSS feed or email. Thanks for visiting! 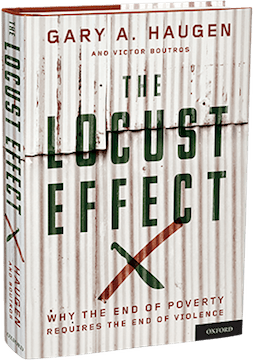 We will be giving away a copy of Gary Haugen’s brand new book The Locust Effect this week. The contest will run until midnight on February 8 EST. We will announce the winner via email. Retweet about the contest on Twitter by clicking here. Share this page on Facebook and Pinterest by clicking the icons below. Sign up below for our email updates. The more you share the more chances you will have to win! Copyright © 2019 The Heretic's Way. Proudly powered by WordPress. BoldR design by Iceable Themes. Join today and receive all updates in your inbox, for free!